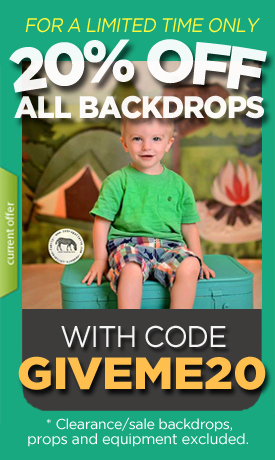 For indoor or outdoor photography backdrops, our travel vinyl photo props are fantastic. They are easy to bring from place to place. When you need an elegant pop of color, try something like this blue diamond background.